The 2017 Bathurst event celebrated Supercheap’s 20 years in Supercars. The CV Media & Signage team delivered print, static and digital signage for a variety of the brands event outlets including the Track Store, Mountain Store and Corporate Box. 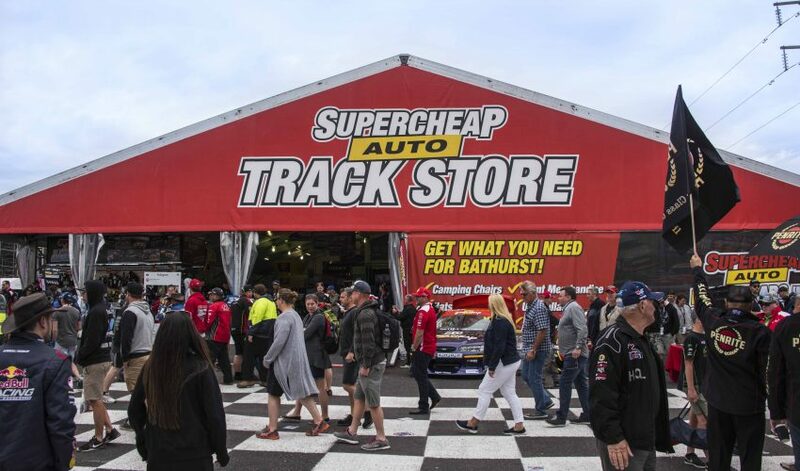 Each year the Supercheap presence on the Bathurst site continues to grow. In their biggest retail showing, the team sought to deliver innovative environments that could be utilised for retail purposes, stage events, showcase the race and encourage spectator involvement in competitions. 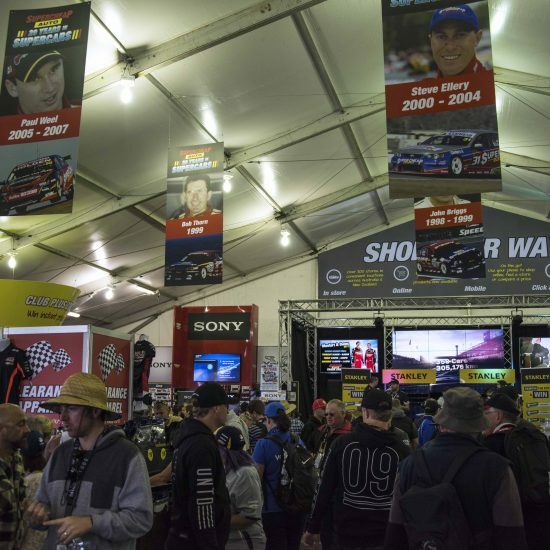 As a market leader in the digital signage space, Super Retail Group integrated a range of diverse digital options to continue the evolution of their Bathurst 1000 stores to make them the most engaging and integrated retail offer to date. 65″ Samsung screen with custom built Supercheap branded stand for the Corporate box. 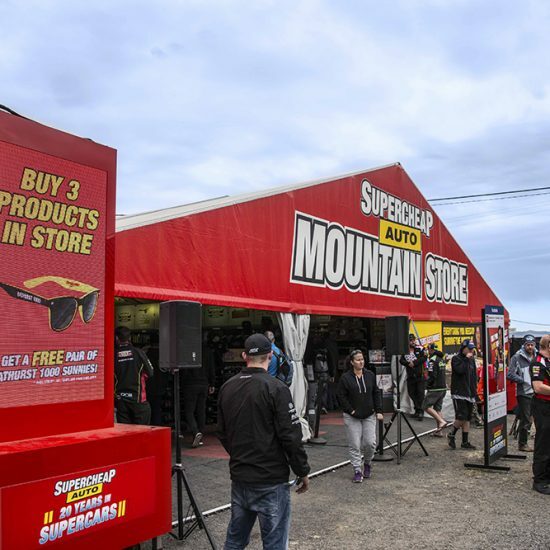 Supercheap Auto’s flagship pop up stores delivered above and beyond a typical temporary retail environment and provided the Bathurst 1000 enthusiasts with a complete brand centred experience. The scale of the visual integration enabled an enhanced experience for the fans and sponsors and their interactions with the Supercheap brand. Supercheap Auto Bathurst 1000 — CV Media & Signage from CV Media & Signage on Vimeo.